We have talked about how to dry out a device with Bheestie Bags. 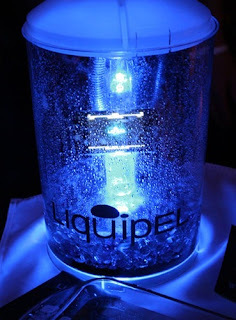 In today's discussion, we are going to talk about a product known as Liquipel. This product attacks the wetness before it attacks the device. If you spend a lot of time in a damp environment, then this product is just for you. It is a waterproof, internal coating that can be applied to your mobile phone. The product acts as a type of external case. It uses a nano coating that will repel water, almost like wax paper. It will not absorb water. It bonds the device inside and outside with a coating that will repel water. This is meant for those who are around water or around a lot of dampness. If you want to get this for your mobile phone, then get ready to empty your pockets of about $60. This is not a lot of money when you consider how much a new phone might cost. Now, it is important for you to know that this is not something that you apply to your device. You actually have to send it to Liquipel where they will apply the coating and then return the device back to your within 1-2 days. Now, there is both good news and bad news. The good news is, it is available in the market right now and costs just $59; a small price to pay, really, when you consider the potential water damages that you may have to incur. The bad news is, you can’t just apply the nano coating yourself. You have to send in your device to Liquipel, their people apply the coating and then you get your device back within 1-2 days. At this point, there are still some answers concerning how the process is actually done and what it does to your warranty. Currently we don't have answers to these questions. What we do know are the phones that the Liquipel will support and these include the Apple iphone 3G/3GS/4/4S, the HTC EVO4G, the EVO Shift 4G, the MyTouch 4G, the Thunderbolt, the Motorola Droid and the Samsung Charge. Plans for the future include the possibility of doing the coating upfront. 0 Respones to "Liquipel - The Nano Coating"